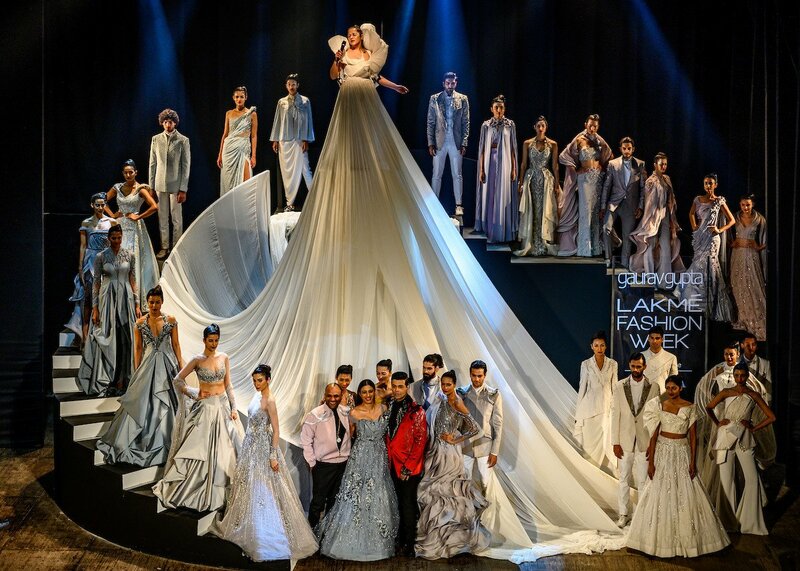 Lakmé Fashion Week summer/resort 2019 kick-started yesterday at a grand scale. The day was hosted by designer Gaurav Gupta, where he presented his collection ‘The Unfolding’ featuring structured designs, sari gowns, and constructed dresses. Filmmaker Karan Johar and actress Tabu walked the ramp for Gupta. 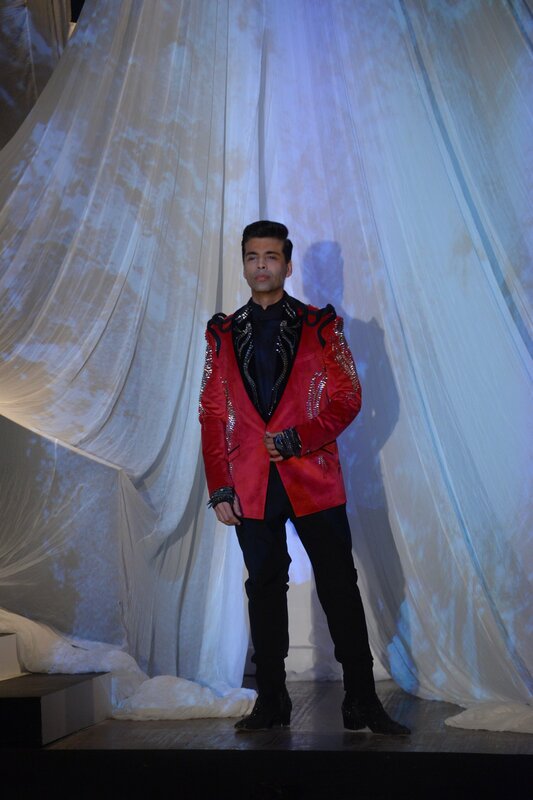 Karan was donning a red blazer with black and silver shimmer work and was teamed with a black shirt and matching pants. While Tabu was seen in an icy blue off-shoulder gown.